Missing a few hours before dawn Beijing with a new 'significant store' of Apple. Following the opening of large establishments in the Asian continent, the Cupertino company has finalized this week in preparation for the opening of its largest store in Asia. It will be the third location that Apple open in the city of Beijing and it be become the largest to have three plants and a large surface. The Chinese press has already had access to the store and the very John Browett, vice president of retail for Apple, has been commissioned to show it to the media. This Apple Retail is located on Wangfujing Street and will open at 9 am. What catches the attention of the building is its crystal structure: Apple introduces new architectural model which removes the barriers between the interior and exterior of the raw natural light. 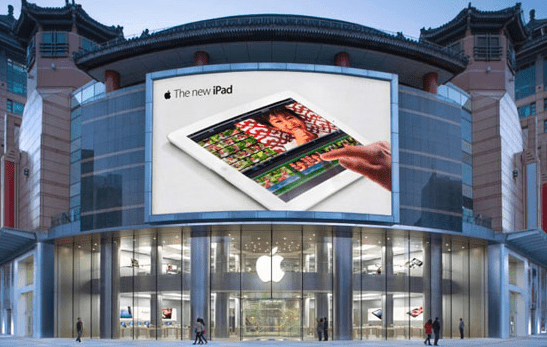 Article Apple is preparing for its grand opening in Beijing was originally published in News iPhone .